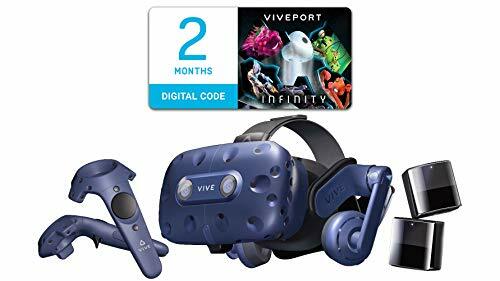 What is the Best VR Headset for VRChat in 2019? Do you want to hang out with interesting people from all over the world? Sure, you could sit around in a chat room and type, but what if you could also create worlds and be whomever you wanted to be? Welcome to the world of VRChat. VRChat is one of the most popular virtual reality chat apps available. There are thousands of people in VRChat at any given moment ready to hang out and have a good time. So, how do you get VRChat and what tech do you need? You can get VRChat on Steam or the Oculus Store. You’ll need a decent gaming computer and virtual reality headset. However, which are the best VR headsets for VRChat? Let’s take a look. What to Look for in Your VRChat Headset? In VRChat, you create your avatar and can even create worlds. The VRChat avatar system is pretty advanced. The avatars’ mouths move pretty realistically in sync with what you say. They can also replicate hand and body movements. You can interact with people in the virtual environment and even play games. VRChat also uses spatial audio. So, you can focus on the conversations around you and not be drowned out by the immense chatter of 6 thousand people speaking at once. So, which headsets allow you to take advantage of all these tremendous VRChat features? VRChat doesn’t require an extremely powerful computer. If your computer can handle any of the popular PC-based VR headsets (HTC Vive, Oculus Rift, etc. ), you should be fine. Which Headsets Does VRChat Support? Officially, VRChat supports the HTC Vive and Oculus Rift headsets. You can, however, use other headsets. If you have one of the various MS Windows Mixed Reality headsets, you can play VRChat. However, you may have some issues with the hand tracking. 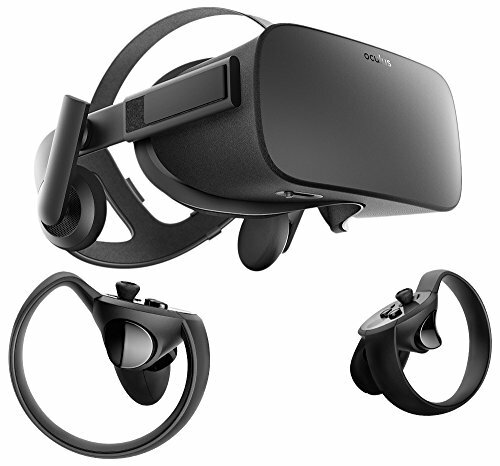 How to Choose the Best Headset for VRChat? With VRChat the two most important aspects of the app are motion tracking and the audio. As a chat app, talking to other people is the point. So, you want to have a good microphone and decent headphones. The audio output of the headset needs to support 3D spatial audio as well. Motion tracking is the other key feature of your headset. What makes VRChat unique is its ability to reproduce hand and body movement. This adds body language to your chat experience. Without high-quality motion tracking, you lose this. I recommend a virtual reality system with 6-degrees of freedom motion tracking. This means the system can track 6 types of movement. You also need a system that tracks hand movement. The more detail in hand and body tracking the better. Which Headsets Should You Avoid? Technically, you could play VRChat with a stand-alone VR headset or a mobile headset (which uses your phone). However, the mobile headsets and stand-alone options don’t have the motion tracking systems to truly experience VRChat. I recommend avoiding any virtual reality headset that doesn’t have 6-degrees of freedom motion tracking. I also suggest skipping any system that doesn’t track hand and body movement. Hand movement is natural in talking, and you don’t want to lose that in the VR experience. How to Decide Which Headset is Best? All the virtual reality headsets officially supported by VRChat are great VR systems. They give you an immersive experience, and you have an extensive library of other games and apps to explore. So, you won’t be disappointed with any of them. However, we don’t just want to be “not disappointed.” We want the best! To decide which is the best you need to consider the audio capabilities and motion tracking. The graphics won’t make much of a difference, and they all have good hand controllers. They also all have first-rate audio capability, but some come with built-in headphones, and some don’t. However, when all is said and done, I think motion tracking is the biggest difference maker. Now that you know what to look for, let’s review a few VR headsets you might want to consider for VRChat. We’ll weigh the pros and cons so you can make the best choice for your situation. The HTC Vive has excellent graphics and supports 3D spatial audio. It doesn’t come with built-in audio, but you can purchase a separate audio pack or use a good set of headphones you have lying around. Where the Vive really shines is motion tracking. It uses two external sensors to provide room-scale tracking over up to a 15’ x 15’ area. This tracks all your movement and gives you plenty of room to move around. The Oculus Rift is another excellent option. It has high-quality graphics and good motion tracking. The hand controllers are light and intuitive making for easy, natural hand movements. The Rift has built-in headphones that produce stunning audio. The Rift’s motion tracking area is smaller than the Vive, only 5’x11’. However, for most people, that’s plenty of room. The HTC Vive Pro is the HTC VIve’s bigger brother. It has even better graphics and a larger area of motion tracking (20’ x 20’). The pro has built-in HD 3D spatial audio headphones as well. In regards to VRChat, where the Pro beats out his little brother is in motion tracking. It has integrated eye tracking as well as two forward-facing cameras. These cameras enhance the Pro’s ability to track movement, particularly hand and finger movement. No other consumer VR system can match this level of tracking. There are multiple MS Mixed Reality headsets out there made by different manufacturers. It’s like buying a PC. There are different brands that vary in quality and some features. However, most of their features are similar, and they all use Microsoft. So, I’m reviewing them all together. The Mixed Reality headsets have excellent graphics (second only to the Vive Pro) and full motion tracking. The Windows headsets tracking is different from HTC and Oculus. This makes a big difference for VRChat users. Windows Mixed Reality headsets use cameras on the headset to track motion. They have no external sensors. For many VR applications, this works just fine, but in VRChat, it causes problems. Because the front-facing cameras do all the motion tracking, you have to be looking at your hands for the system to track them. Most people don’t watch their hand gestures while talking. Also, some of the games in VRChat require quick and broad hand movements. This can take your hands out of the view of the cameras. 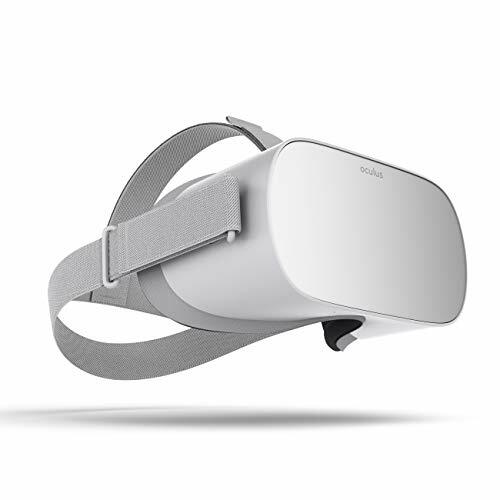 The Oculus Go is a stand-alone virtual reality system. It doesn’t need to be connected to a PC nor does is use your phone. The internal processing can handle VRChat, and the screen is good. However, the Go lacks the full motion control tracking you need to fully experience VRChat. The Go has 3-degrees of freedom tracking. This means it only tracks the rolling, pitching, and yawing movements. It can’t track strafing, surging, or elevating nor can it track body and hand movement. 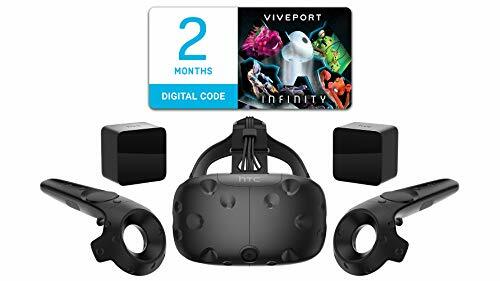 To get the most out of your VRChat experience, you’ll want to have an exemplary virtual reality headset. The cheap mobile headsets and even the stand-alone models just won’t cut it. So, which headset is the best? I have to go with the HTC Vive Pro. I said near the beginning of this article that audio and motion tracking are the to most important features for VRChat. The HTC Vive Pro has the best audio and motion tracking of all the headsets. I also feel the need to give you a runner up. After all, the Vive Pro isn’t something you can buy with the change in your couch or possibly the money in your savings account. It’s a close call between the Vive and Rift. The Vive has better tracking, but the Rift has exceptional built-in audio. Both satisfy. In the end, however, you can buy great headphones. You can’t improve the Rift’s tracking. Now, You’re all set. Go ahead and get your virtual reality headset, install VRChat, and have a great time.